Spanish club BM. 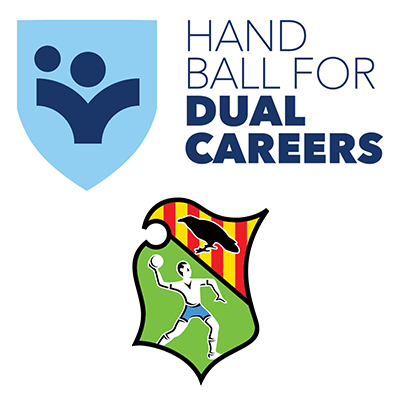 Granollers is one of three clubs taking part in the Handball 4 Dual Careers project co-funded by the European Commission’s Erasmus+ Programme. In fact, Granollers is the leader of the project with Josep Blanchart Fernandez as project coordinator and the responsible person for the development of the support system and pilot projects at the club. “So far we have achieved awareness and recognition among our stakeholders. This topic was very new for the majority of the club and through this project, we could present the topic to them,” says Blanchart. This was the first time the club dealt with dual careers in a structured way as they have previously only handled individual cases. However, with this project, they can provide the necessary help to any player willing to participate. “Through H4DC, we got a few agreements with the club’s sponsors for players to do internships at their companies. “Also, we have reached agreements with universities which grant scholarships and special conditions for players to study and play handball at the same time. We are working very hard on this asset and it will be a strong pillar for our future programme,” explained Blanchart. As the project is coming to an end, Granollers can already draw conclusions. However, Blanchart underlines that implementation was not easy at the beginning. “At the beginning of the implementation, we had trouble engaging stakeholders as we could not effectively communicate what we were trying to do and why we need their help. As communication improved, we saw better engagement in the activities we organised. Another key finding which arose during the project at Granollers was the introduction of the sports psychologist. “Thanks to the project, we added this role to our structure and it has been the most successful asset of the project. People can see an immediate opportunity to change their situation,” says Blanchart. Conclusions of the project will be presented in Granollers at the closing conference on 12 June. Blanchart, as project coordinator, will present the final conclusions, the transferability plan and the recommendations guide for implementation of the dual career service. “BM. Granollers will start looking for which Dual Career path we want to follow based on the experience gathered in the project. “The dual careers project brings you a lot of opportunities, a wide range of possibilities to work closely with all internal and external stakeholders. However, in our club, we will need to focus and invest time and resources in one path.